Each of the eight, 5.5 kW, 150 rpm Landia mixers must be installed with no interruption to the process at the Faxe Wastewater Treatment Plant, because the tanks (79.5m in length, with a width of 22 m and volume 2,720 m³), cannot be emptied. So, using mobile cranes, including distances of up to 50m between the assembly point and the road, each mixer (flowmaker) is going to be installed on its own platform. Outdated surface-brush aerators were previously being used for the ‘race-track’ design at the plant, but from both a process and energy point of view, were not longer viable. The slow speed yet high performance Landia POP-I 150 rpm flowmaker is available in motor sizes from 1.1 kW to 7.5 kW – and in propeller diameters from 620mm to 1150 mm. In addition to municipal installations, it can be supplied in 100% acid-proof material for food or chemical industry applications. 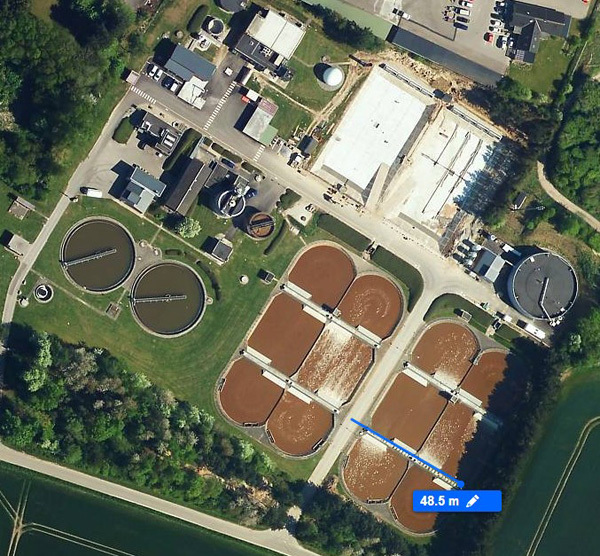 As well as Europe, the Landia POP-I 150 rpm flowmaker has been installed over the world, including for example, the USA, for World Water Works’ DEMON® process at York River Treatment Plant in Seaford on Virginia’s coastline. Designed to agitate, homogenize and suspend solids in demanding conditions, the Landia flowmaker is utilized to mix granulated sludge. With only 150 propeller revolutions per minute, the low rotations provide gentle mixing (at very low energy levels) so as not to disturb the required biological balance.